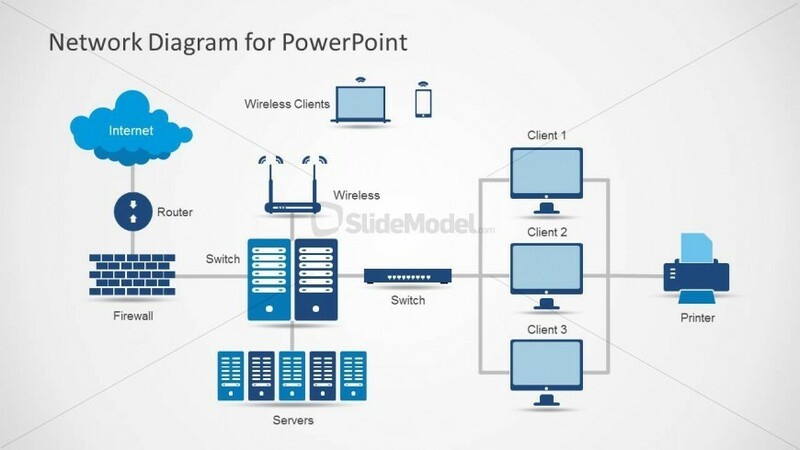 Network Diagram template for PowerPoint presentations is an awesome presentation design and template that you can use for presentations on network engineers and network PowerPoint presentations. The network diagram contains useful PowerPoint icons for network presentations including servers, computers, wireless routers, switches, client computers, firewalls, printer and network connections. There are also other illustrations like clouds for Internet or Extranet representation as well as smartphones and devices.